^ 4.0 4.1 Sandler 2001, pp. 24–26. ^ Roosevelt, Frankin D; Churchill, Winston. Quebec Agreement. atomicarchive.com. August 19, 1943. ^ Edwards, Gordon. Canada's Role in the Atomic Bomb Programs of the United States, Britain, France and India. Canadian Coalition for Nuclear Responsibility. [4 December 2007]. （原始内容存档于2007年12月13日）. ^ Jones 1985, pp. 509–510. ^ Jones 1985, pp. 534–536. ^ Chapter II: The Effects of the Atomic Bombings. 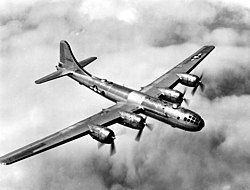 United States Strategic Bombing Survey. Originally by U.S. G.P.O. ; stored on ibiblio.org. 1946 [2007-09-18].